Five White Elho Plant Pots. Elho Pure Round 40. Height 35cm x 40cm diameter. White Plastic. 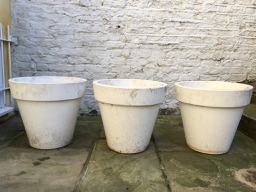 These plant pots have been used and will need cleaning of soil. They are in great condition with no cracks or breaks. Please only reply if you are able to collect from Angel N1. Elho black plastic plant pots from their Green Basics collection. I have pots in various sizes. Some used, some unused. I have several pots in each size. 40cm diameter, 35cm diameter, 27cm diameter, 24cm diameter, 19cm diameter, 17cm diameter, 11cm diameter. Collection from Angel N1. 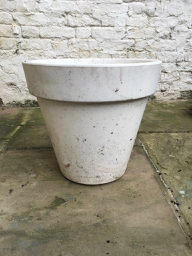 Three large white plant pot by Elho - Pure Round 50. Height: 44cm Diameter: 48cm. The plant pots have been used. They will need cleaning (soil only). They are all in excellent condition with no cracks or breaks. Please only reply if you can pick up from Angel N1 area. Pair of matching chairs. Very comfy. Little wooden 'handle' to operate an extended foot rest if required to put one's feet up. Mustard colour with pattern. 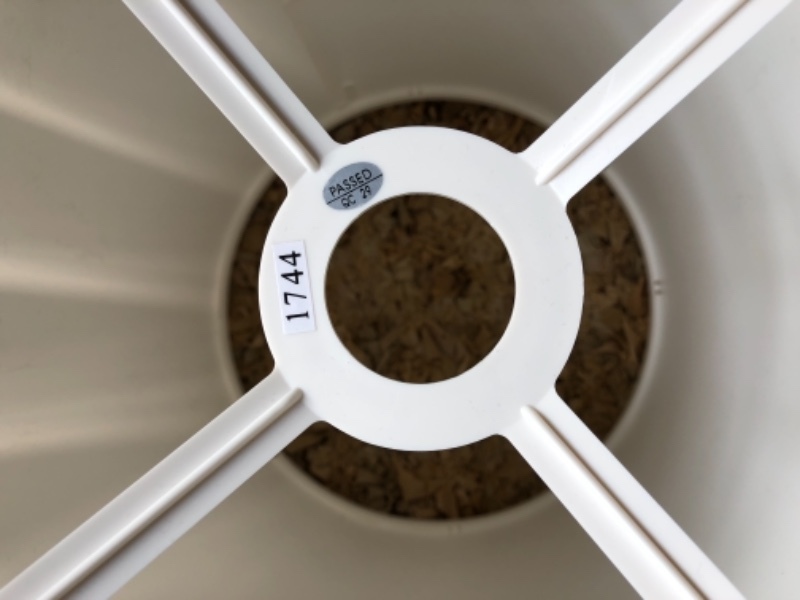 All fittings 1.5 metres long, comprising: 2 matching single tube strips with covers and tubes, 2 matching double tube strips without covers and tubes, 1 single tube strip without cover or tube. PLUS one surface mounted light switch, one surface mounted 13 amp fused isolation switch and two 2.5 metre lengths of twin and earth cable. You can have all or some of them. If you are interested please give us your email address or phone number so we can respond. 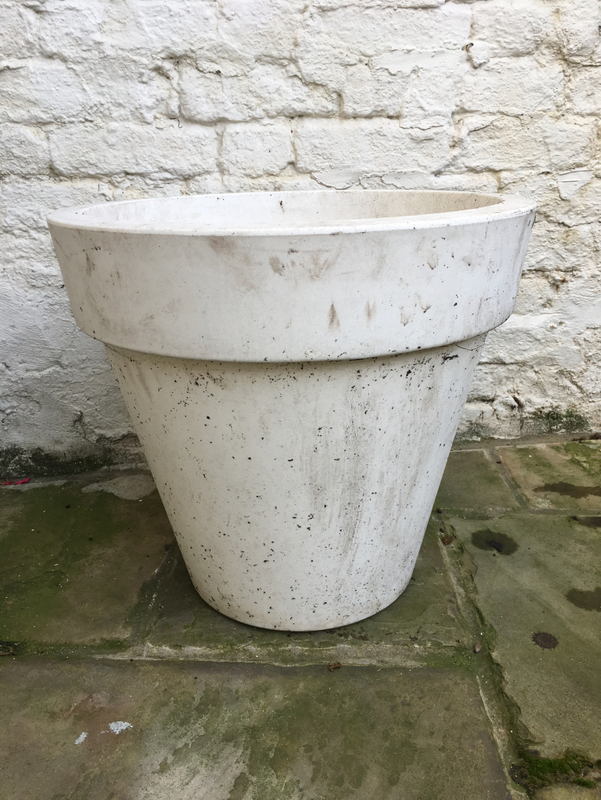 One large white plant pot by Elho. Height: 44cm Diameter: 48cm This plant pot has been used. It will need cleaning (soil only). 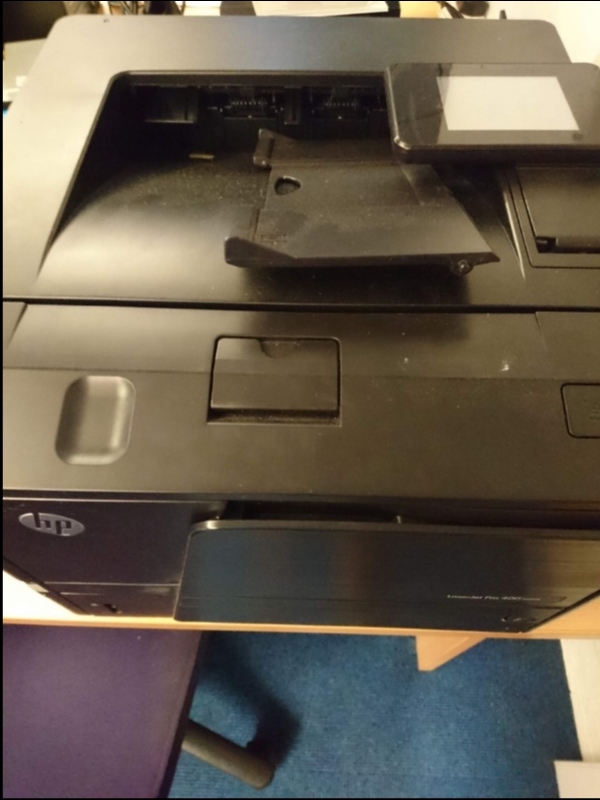 It is in excellent condition and no cracks or breaks. Please only reply if you can pick up from Angel N1 area. 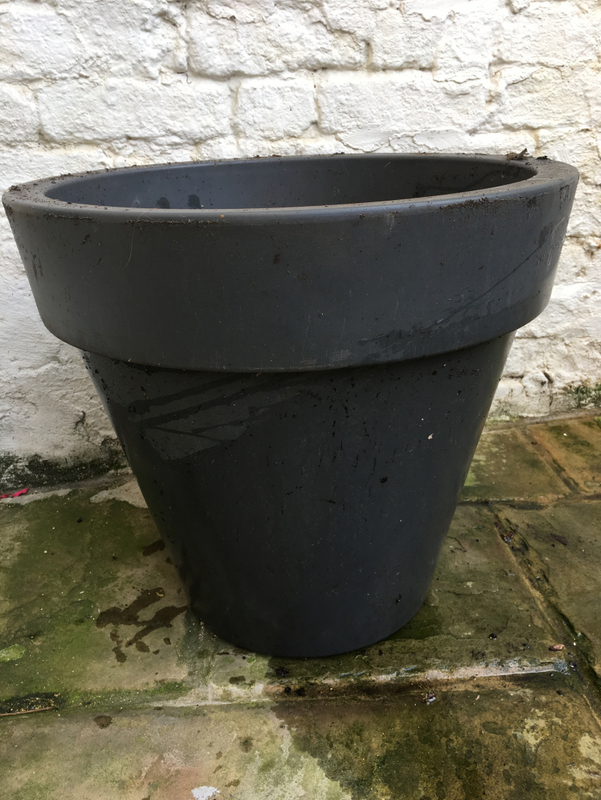 Black/slate coloured large plastic plant pot by Elho. 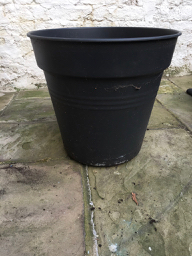 45l Height 44cm Diameter:48cm This plant pot has been used and will need cleaning. It also has light scuff marks on the surface. There are no cracks or breaks. Please only reply if you can collect from N1 Angel area. 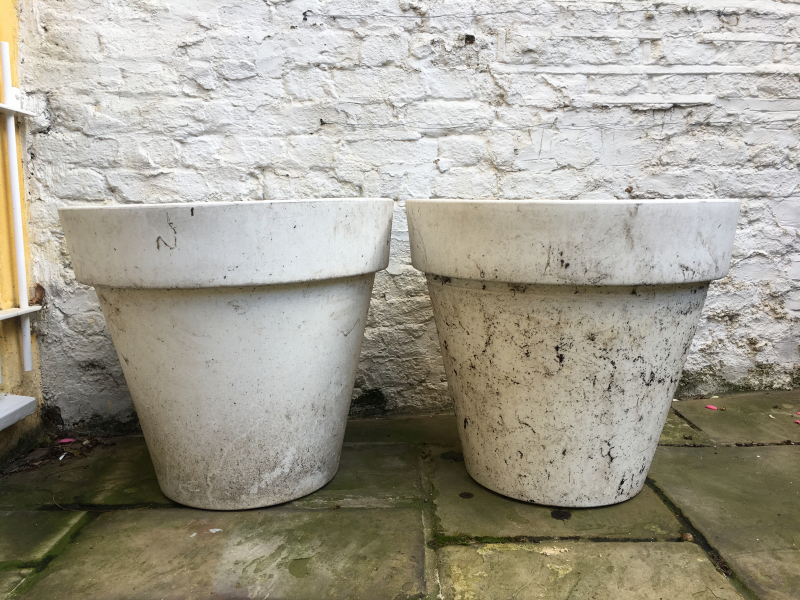 Two giant White Elho plastic Plant Pots. These have been used. They will need cleaning (just soil) but are in excellent condition. Not cracked or broken. They are approx 60cm in diameter and 54cm height. Please only reply if you can collect from N1 Angel area. 9 square white tiles, 15x15cms. 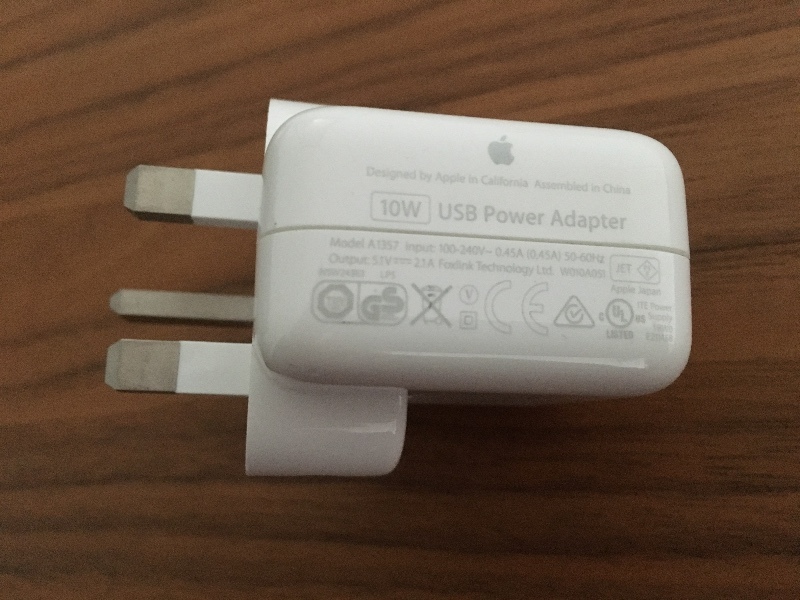 Genuine Apple 10W Power Adapter. Hardly used. Collection from Angel N1. Please only reply if you really want this item and will collect. 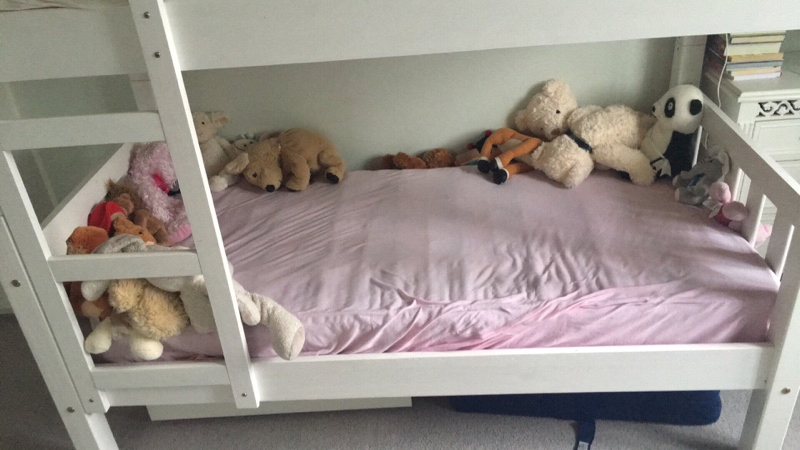 One 160*70cm kids matresse to give away. 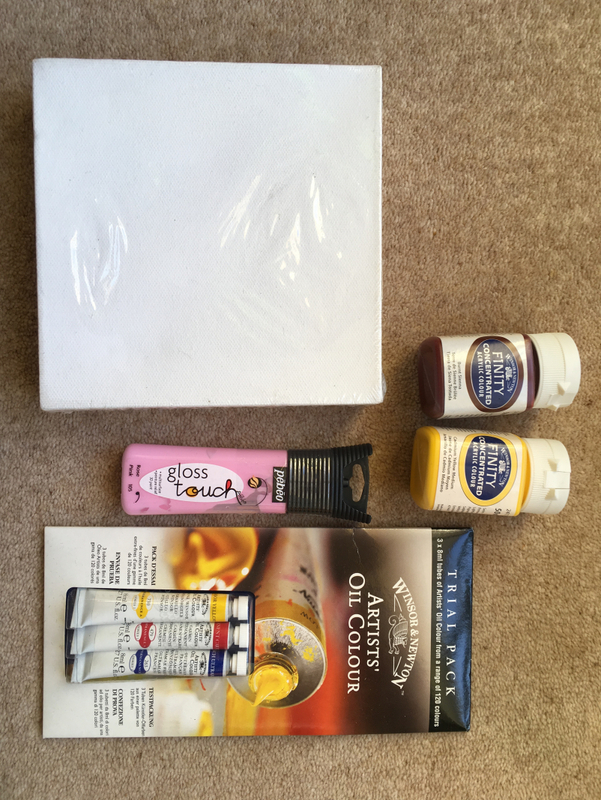 Small Loxley canvas (152x152mm, 6x6"), 2 x 50ml Newton & Windsor Finity concentrated acrylic paint (Cadmium Yellow & Burnt Sienna), Pebeo gloss touch 3D multisurface paint (Rose pink) and trial pack of Windsor and Newton Artists' oils. Have been in cupboard for a while, but all unopened. 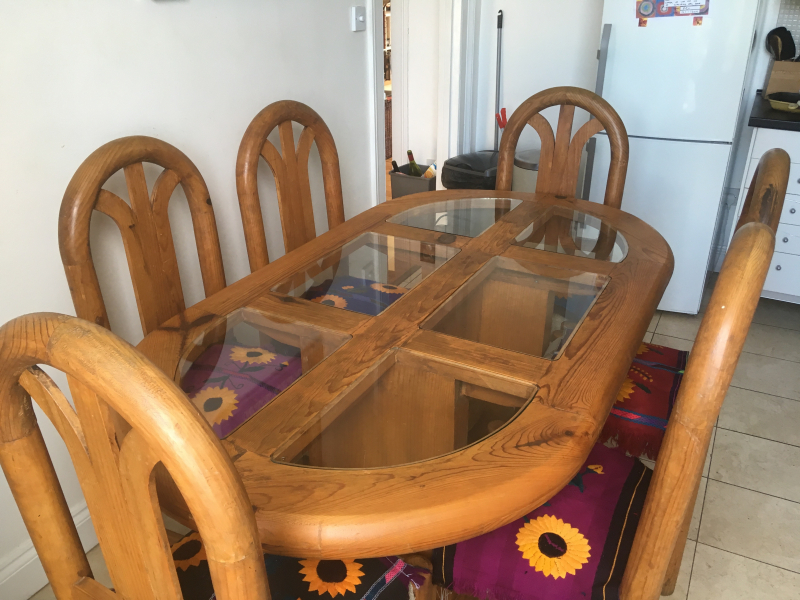 Lovely rustic Mexican pine dining table set with glass panes and six matching chairs. 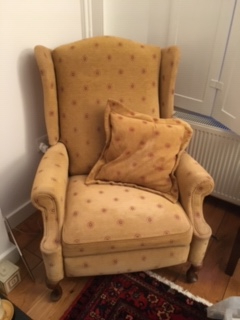 Very durable, in good condition although white chair fabric is in need of reupholstering. (sunflower covers not included). Table needs some reassembly to move it but once assembled looks as good as new. 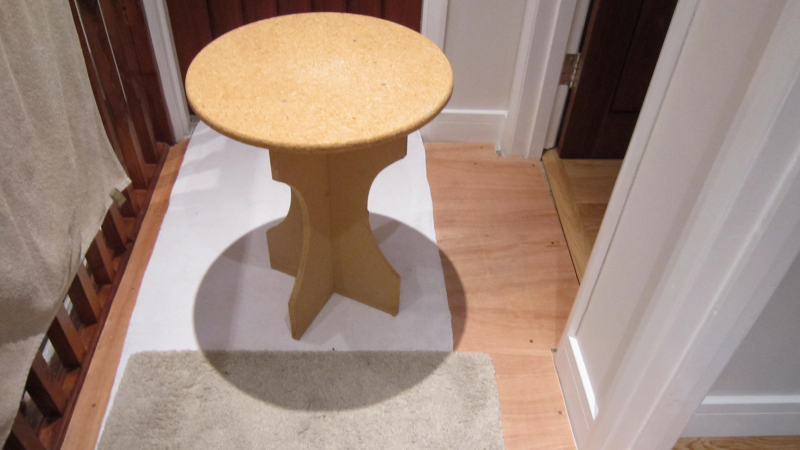 Table measures length 70 in x width 38 in; height 30 in. Each chair reaches a height of 45 in to back and 18 in to seat. To be Collected. E Canonbury area. 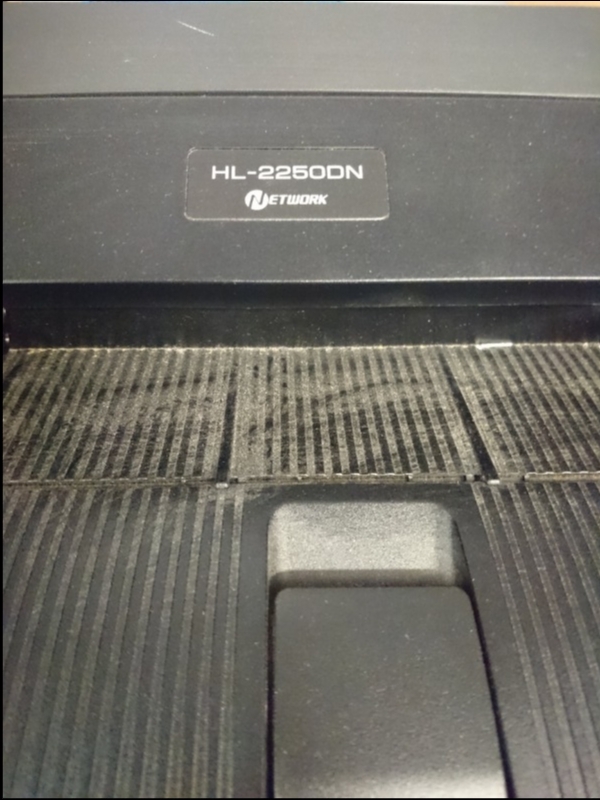 This is a HumanScale Keyboard tray. Very good condition. But surplus to requirements. Read about it, and download the brochure, here: https://www.humanscale.com/products/product.cfm?group=KeyboardSystems https://www.humanscale.com/products/product.cfm?group=KeyboardSystems The keyboard tray I am offering is the “500 Big keyboard platform”. Trayt dimensions: 685mm x 285mm It fits to the undersurface of the desk. Slides it away, out of sight when not in use. Installation instructions here: https://www.humanscale.com/userfiles/file/Keyboard_instructions_011216.pdf Comes with all major parts (one or two fixing components may be missing, but these are standard fixings… available anywhere) Preference given to those who leave contact details Collection: three minutes walk from Angel tube station/three minutes walk from Islington Green. Hitachi VHS Video recorder VT-MX910E UK, barely used, in box with manual. Offering 4 stools like this photo, https://i.ebayimg.com/00/s/MTAyNFg1NzY=/z/xFMAAOSw5cNYE4Mc/$_86.JPG https://i.ebayimg.com/00/s/MTAyNFg1NzY=/z/xFMAAOSw5cNYE4Mc/$_86.JPG ...except that the seat part is not white, it's light brown plywood. One of the stools has a slightly larger seat than the others, because I bought it later and Habitat had updated the design. Late 90s/early 2000s Habitat. Silver powder coated legs. 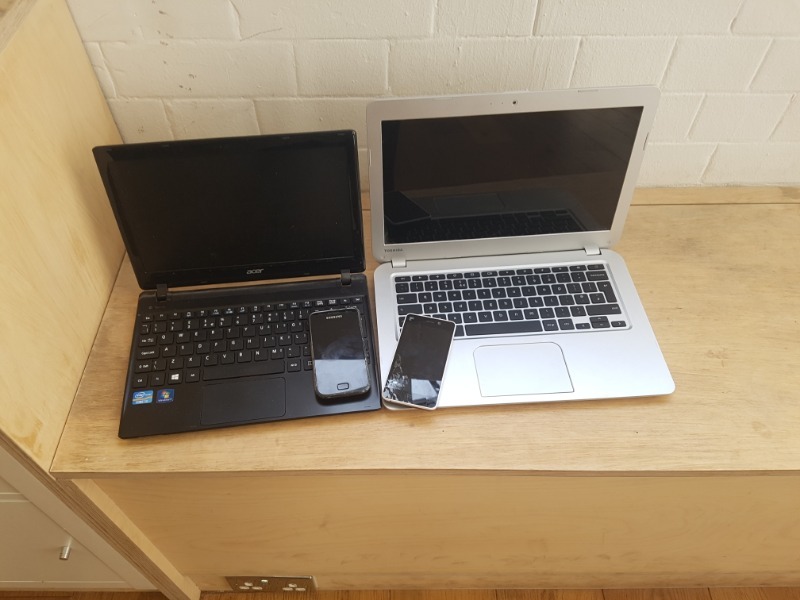 Collection from nr Junction of St John Street and Compton Street EC1V Please make sure you can collect and carry all 4 stools away! I won't split them up sorry. Thanks! 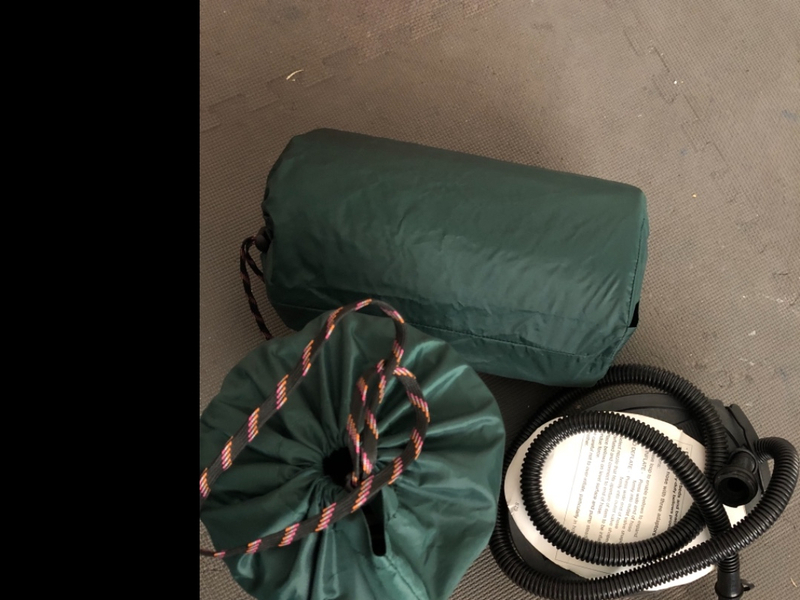 Thermarest Dreamtime camping Mattress. Self inflating. In great condition. Only used once. 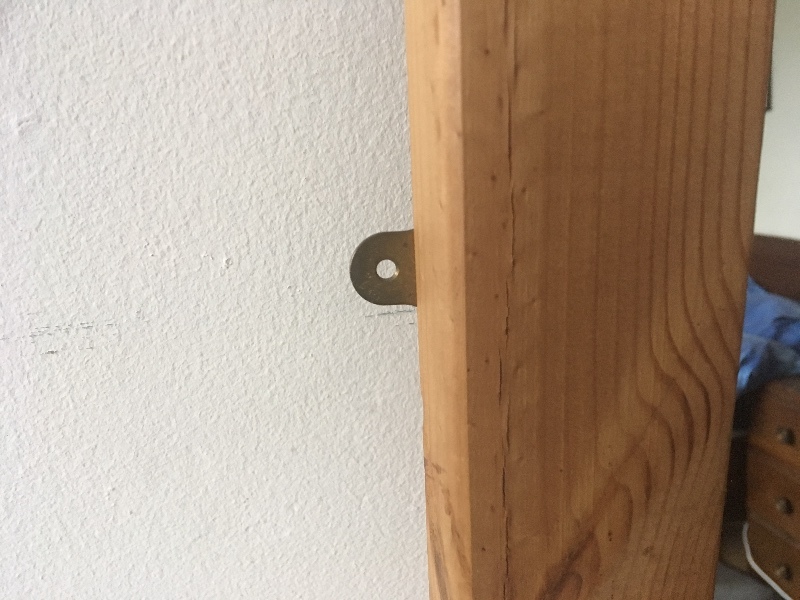 One small tear in lining as shown in photo. 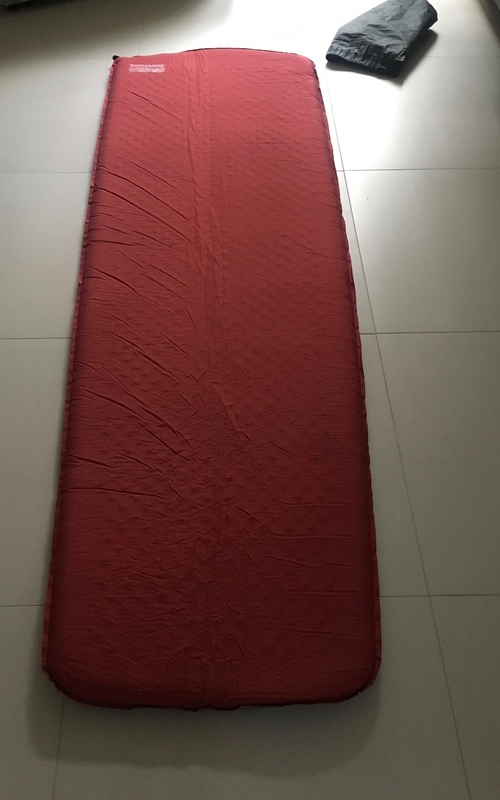 196cm long x 63cm wide x 9cm deep. This item is bulkier than the average camping mattress. Please see photo for how big it is when rolled up. Please only reply if you are prepared to come to N1 Angel area to collect. 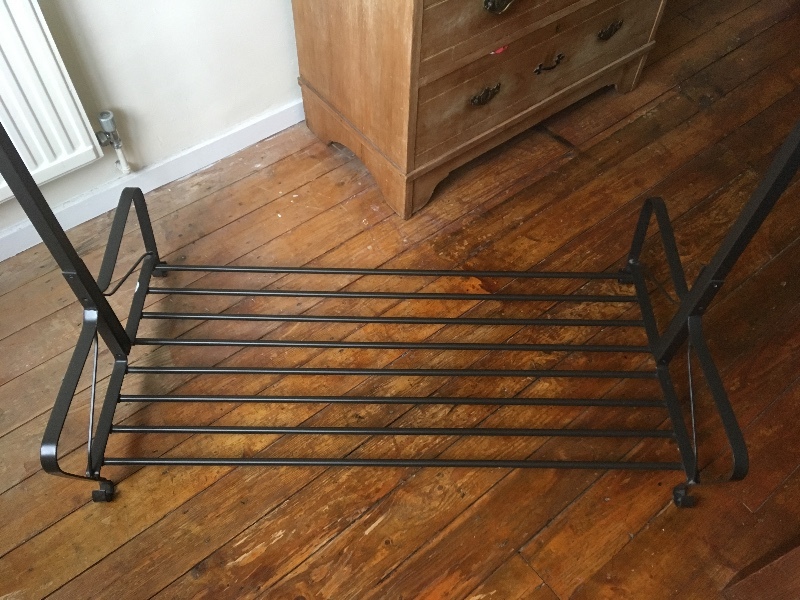 Black metal clothes rail with a shoe rack and hooks on the side. Nice looking item. A few screws missing and one area where black paint has chipped. Will be dismantled for transporting. 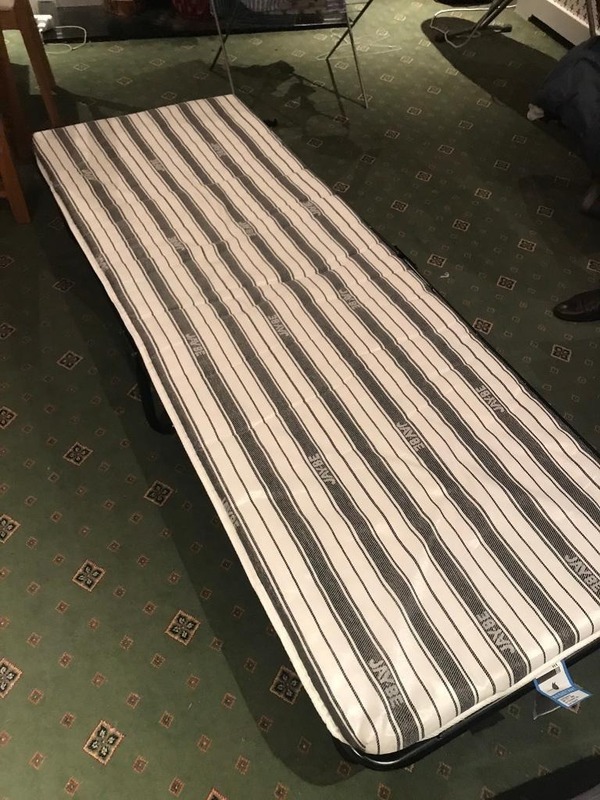 Jay-Be Single Folding Bed with wooden slats and its mattress. 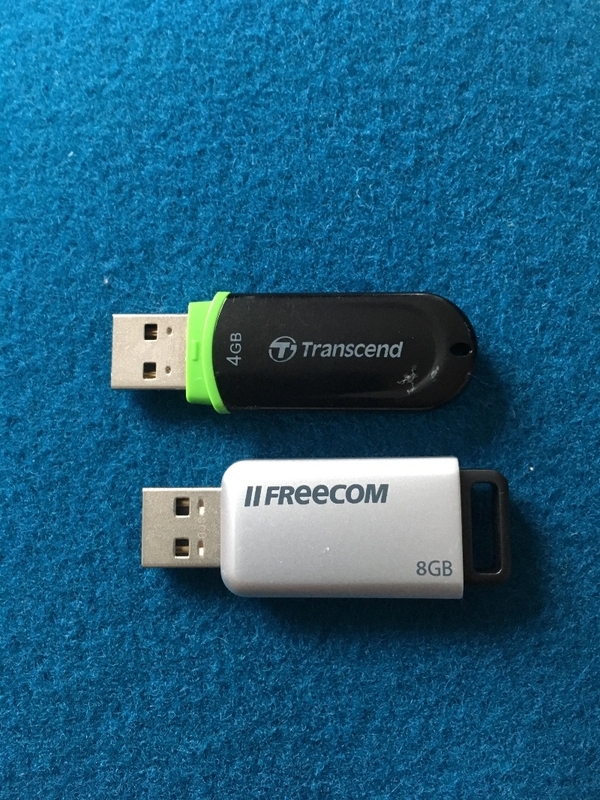 Barely used (less than 10-15 times) in 4 years (bought November 2014). 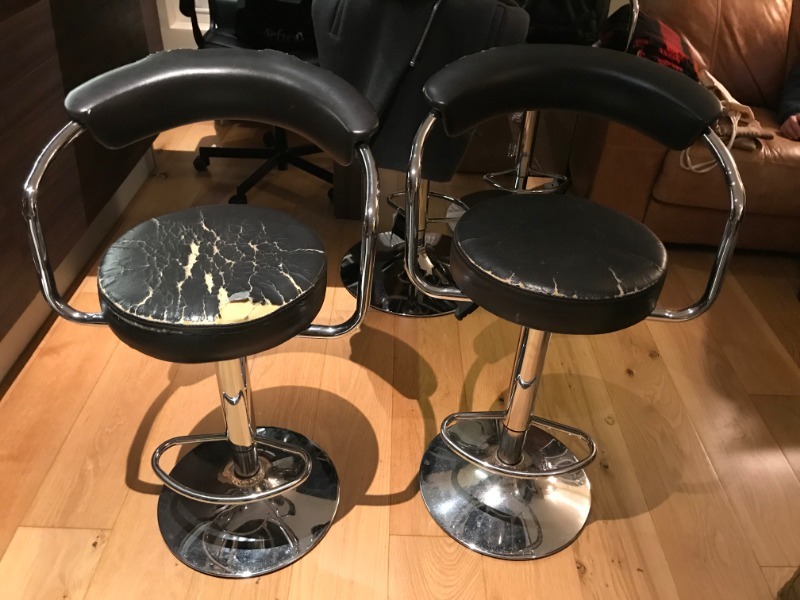 2 worn Argos bar stools. On Argos site the new ones cost £40 each. Offering a Chinon Sound 8000 Super 8 projector. It has a new bulb, powers up fine, but there is an issue with stiff cogs inside, so it doesn't switch from fwd to reverse without taking the back off and physically nudging the cogs. Should be fixable if you know what you're doing! However it does need repairing in order for it to be safe. I'm in Clerkenwell EC1 near the junction of St John Street and Agdon Street. 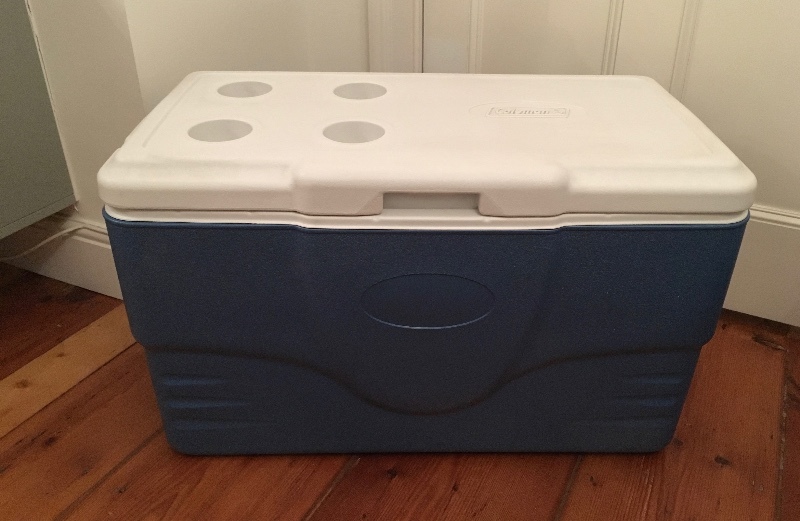 Coleman Coolbox 70QT. Excellent condition. Has been stored in a clean dry space. 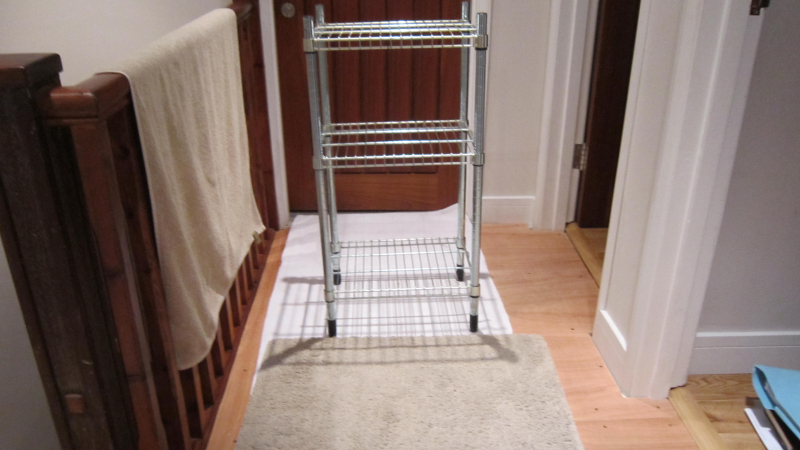 Capacity 66 L Internal: 61 x 30 x 33 cm External: 72 x 40 x 44 cm Weight 6.1 kg Collection from N1, near Angel tube station. Please only reply if you can collect this item. Camping/Caravan electric hook up cable with three plug sockets. Only used a couple of times. Has not been used for a while. Has been stored in a clean dry space. Collection from N1 Angel area. Please only reply if you can collect. Homebase Capillary Watering Kit. 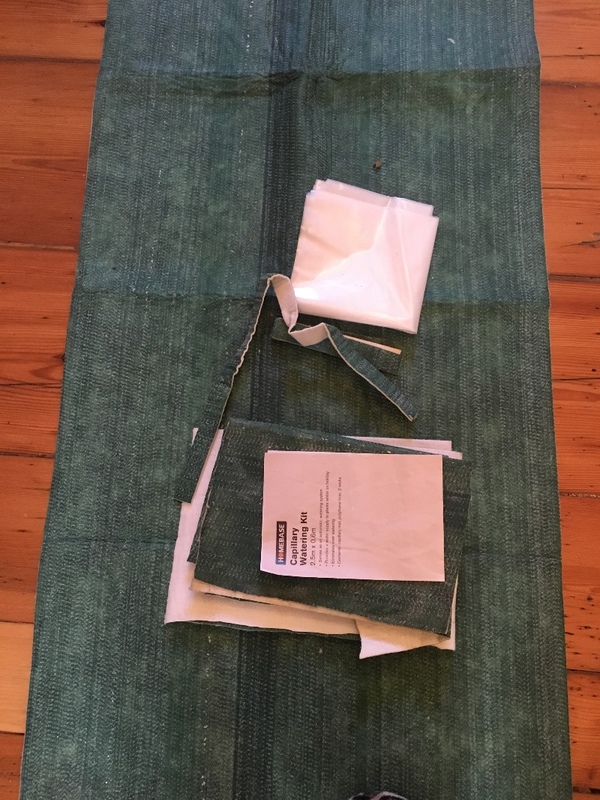 Consists of Capillary matting - one length of 1.5m & some smaller bits. Also polythene liner & 2 wicks. Collection from N1 Angel. Please only respond if you actually want this item and are able to collect. For a 3-5 years old a batman helmet. 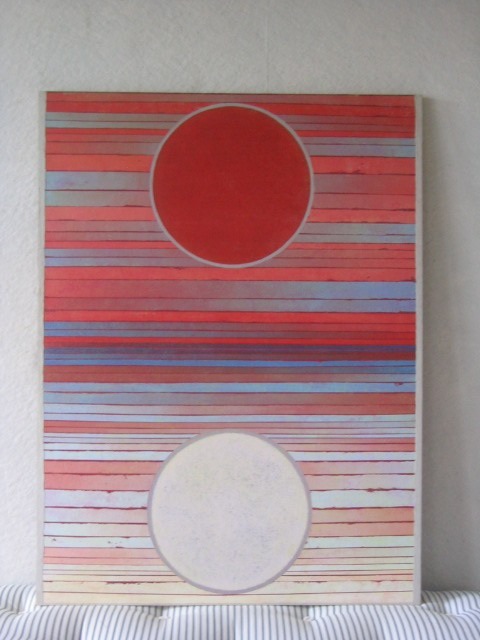 Large acrylic painting measures 92 x 122 cm ( 36 x 48 inches). Colours are a bit deeper than appears in photo. Suitable for a large space at home or office. 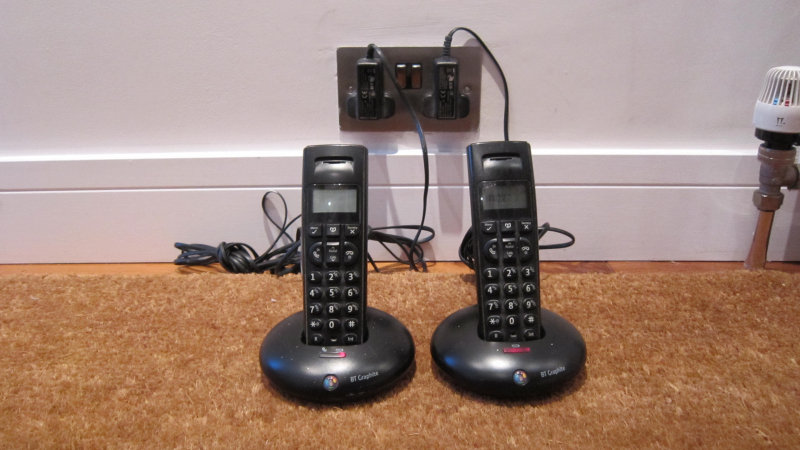 Voice-over-internet Phone (VOIP) phone. 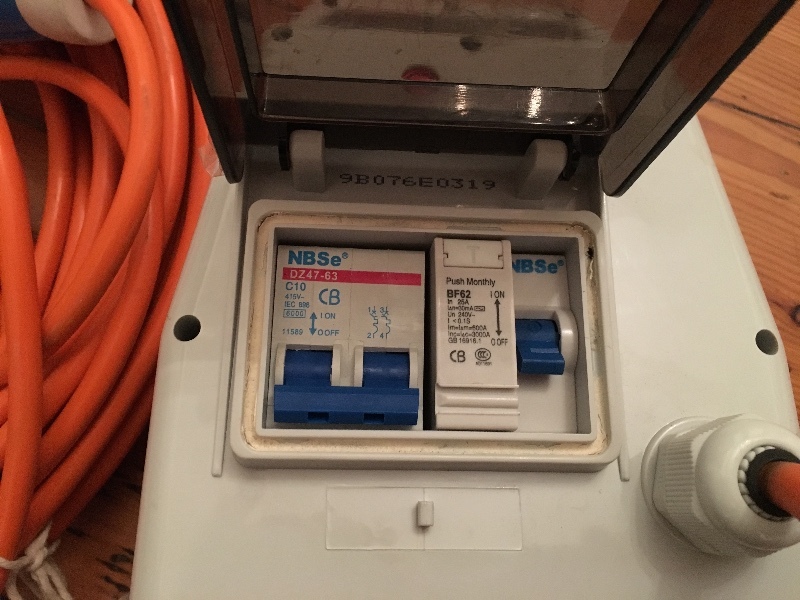 This won’t connect to a normal landline – internet connection only. 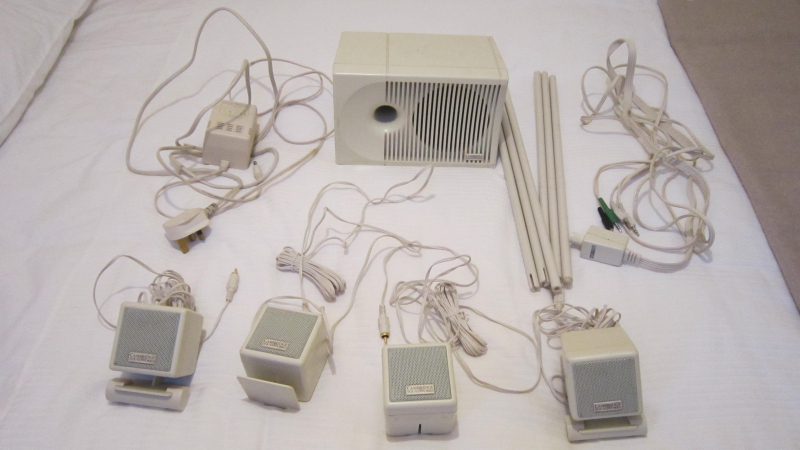 This is a desktop phone with corded receiver. 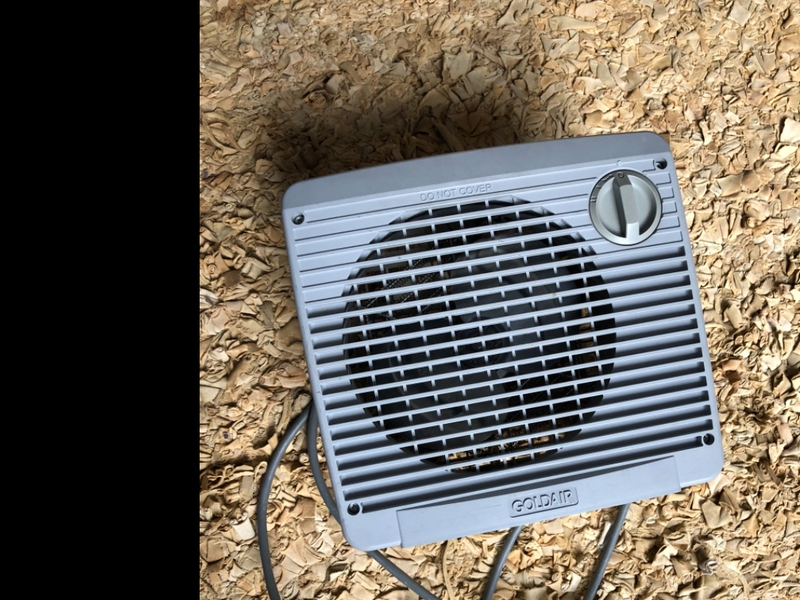 Brand is Vipex. I think I have the user guide, too. Works fine, once set-up using the settings from a VOIP service provider. Preference given to those who leave contact details Collection: three minutes walk from Angel tube station/three minutes walk from Islington Green. 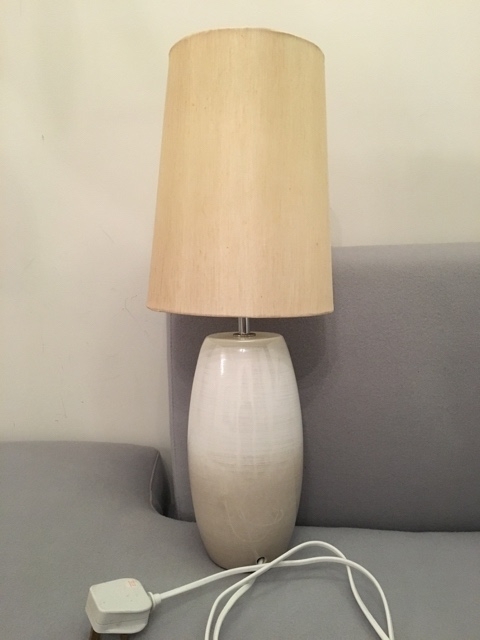 Large white pendant lampshade. Roughly measures in height - 38cm and the diameter of the top ring is 29cm. 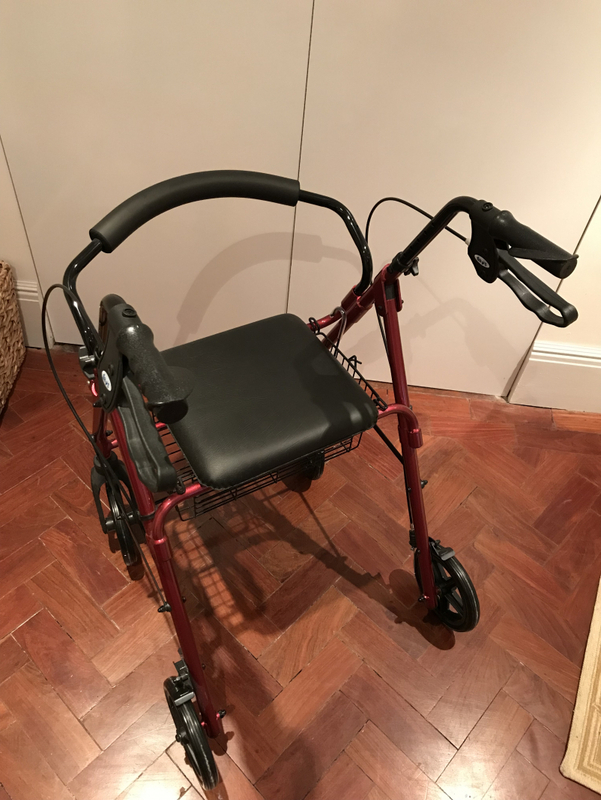 Hardly been used - in good condition. Off-white/cream polyester-cotton duvet cover. As new (used very times / freshly laundered). 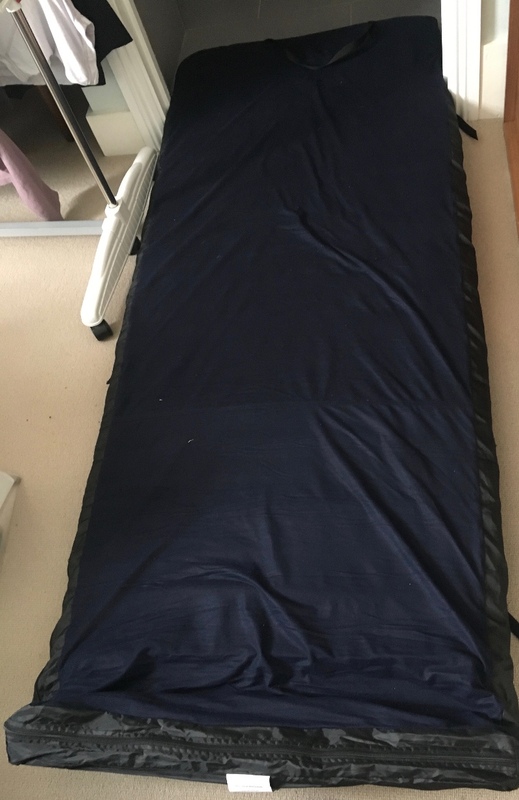 Single-bed size (approx. 135cm x 200cm) Preference given to those who leave contact details Collection: three minutes walk from Angel tube station/three minutes walk from Islington Green. I’m giving this away if anyone needs it. Modern style walnut table. Single-drawer. 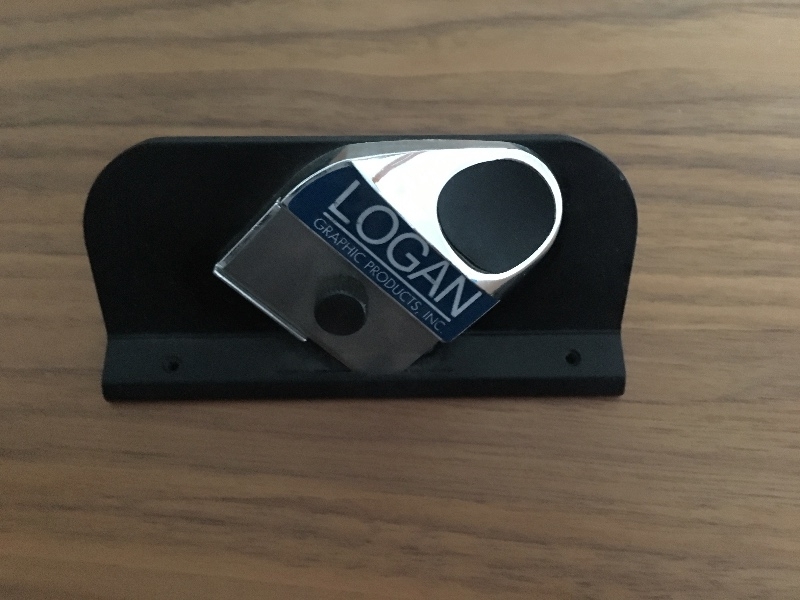 Probably most useful as bedside table. Very good condition. 60cm x 32cm x 34cm (W x D x H) Preference given to those who leave contact details Collection: three minutes walk from Angel tube station/three minutes walk from Islington Green. 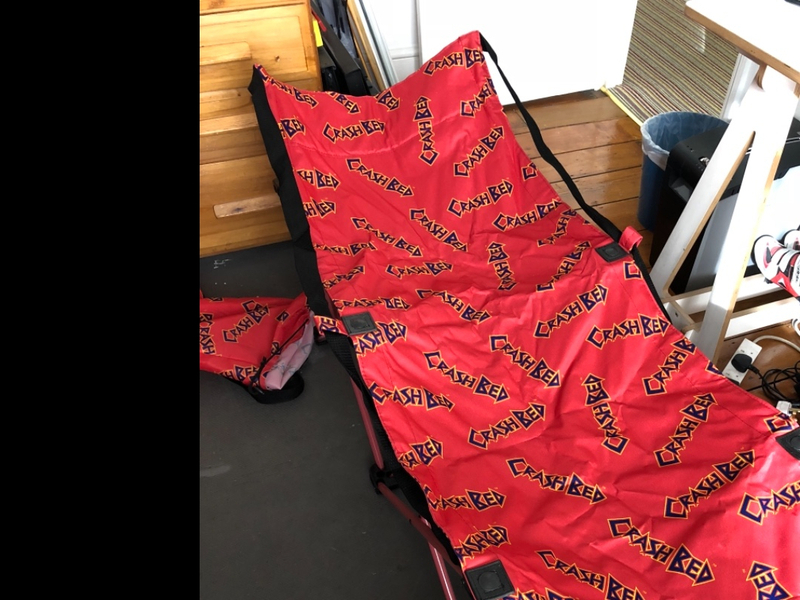 Crash bed in carry case. Folded - length is about 90cm. Great for camping. In good condition. 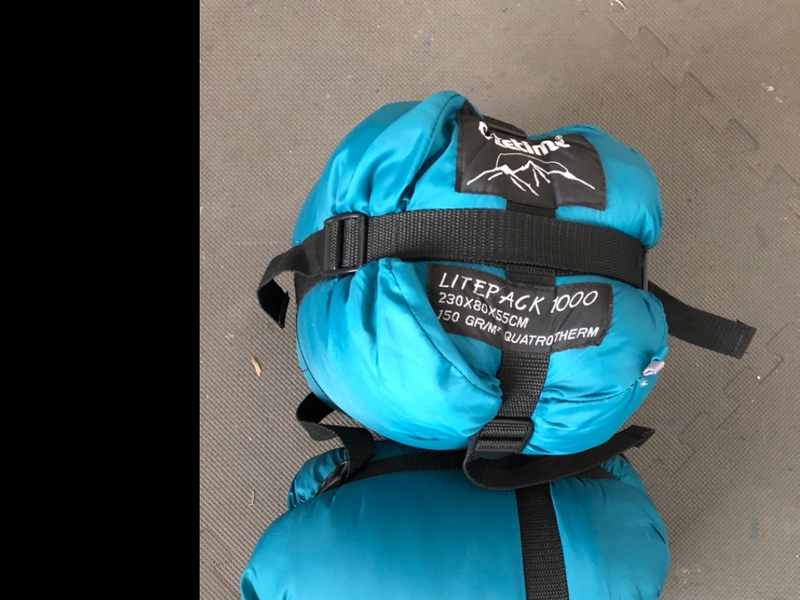 Comfortable thin air filled camping mattresses. Self inflating with top-up valve. Fold away into tiny packs. Good condition - just clearing out attic. 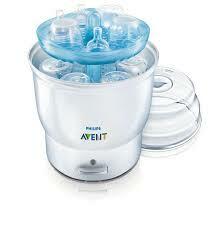 Also air mattress foot pump - not for these mattresses but may be handy for other things. This is a large item: please be sure you can accommodate it, before responding. 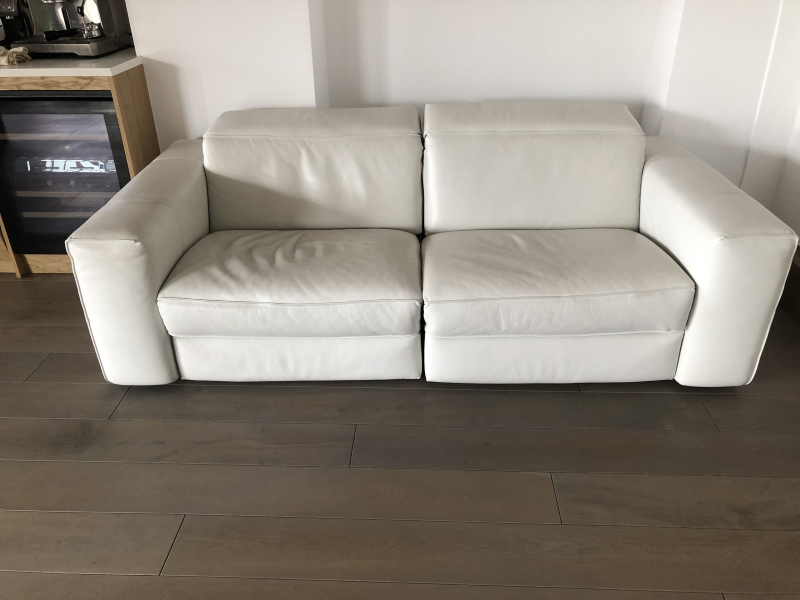 L-shaped two-section sofa, one piece of which opens to a sofa bed. Must be collected before 5th November. Approx 8 years old. Compliant with fire-safety regulations Off-white. Presentable, but with localised marks on some cushions. 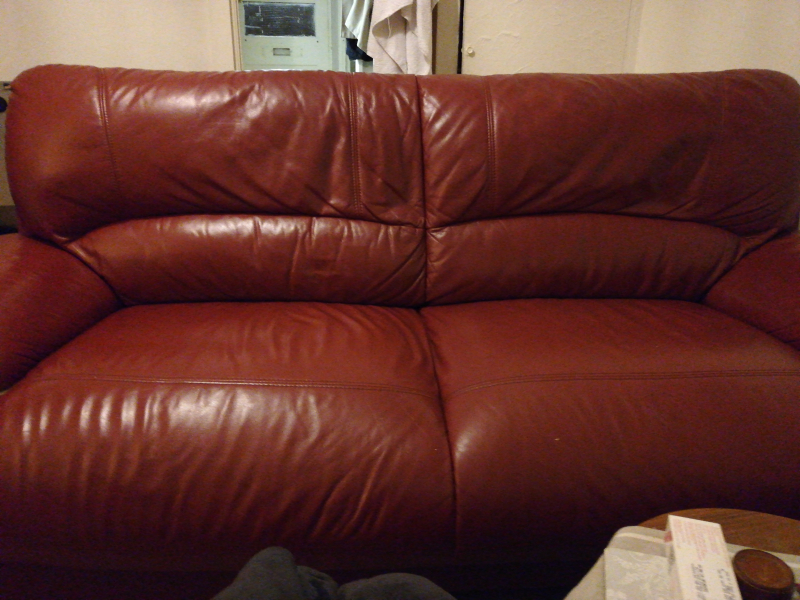 First section (sofa-bed): 180cm x 94cm x 75cm (Length x Depth x Height). Second piece: 205cm x 94cm x 75cm (L x D x H) First section has only one side arm, as it's designed to fit against the second section to form the L-shape. This is obviously a sizable piece. Collection requires a van and at least two people capable of handling weight. Please be sure you have use of a van, and can collect, on before 5th November. Please be sure to leave contact details. 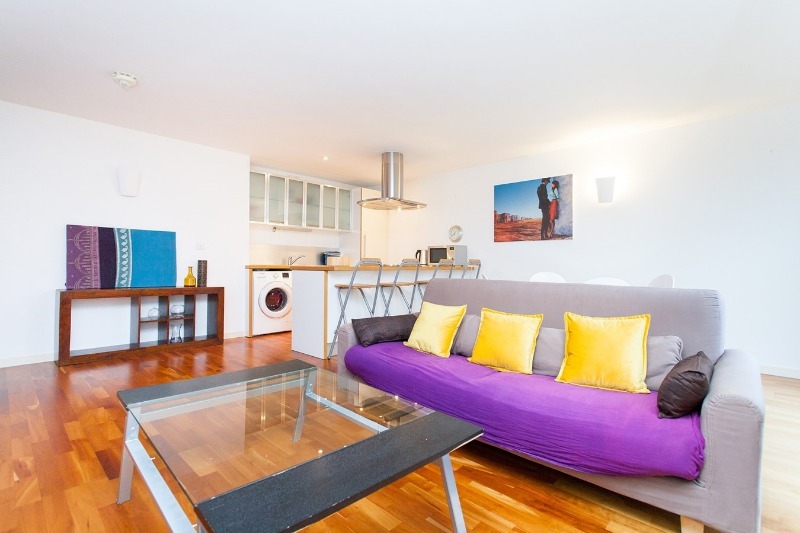 Collection address is close to Angel tube station. Parking (for collection purposes) is not a problem. 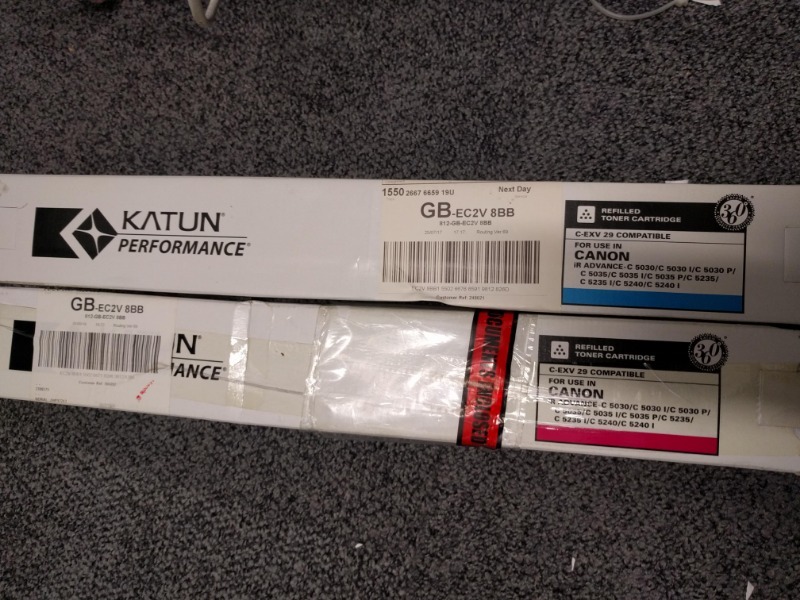 We've found a couple of toner cartridges that are not needed in our office. 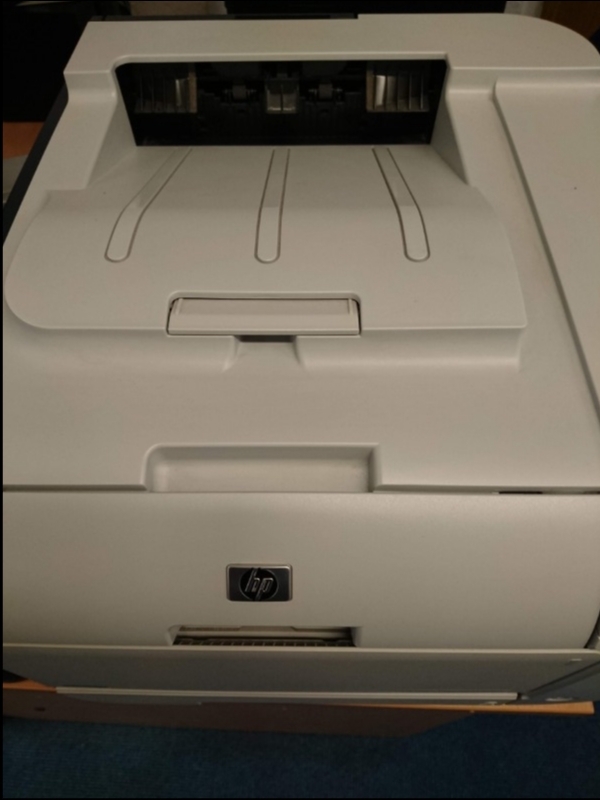 They are both compatible rather than original Canon but we used the brand before with no issues. The cyan dates from 2017 and the magenta from 2016, though I don't believe this will impact their use. Collection Mon-Fri from London city, next to Finsbury Square Garden. Large capacity canvas tool carrier. Almost perfect condition, but has got a bit dusty/gritty while in unused in storage. More or less exactly like this one (though mine may be missing the shoulder carry-strap): https://www.cromwell.co.uk/shop/hand-tools/tool-bags-and-holdalls/professional-large-tool-organiser/p/IRW5652520E https://www.cromwell.co.uk/shop/hand-tools/tool-bags-and-holdalls/professional-large-tool-organiser/p/IRW5652520E Also a de Walt tool box (robust plastic), with internal tray and small compartments in lid. Approx 250mm x 400mm x 300mm (W x L x H). Seen a lot of use, needs a clean, but everything works. Collection: Five minutes walk from Islington Green / five minutes walk from Angel underground station. Preference to those leaving contact details. Water-based emulsion for walls (internal and external). Paint type is described here: http://www.francescaspaint.com/PRODUCTS/index.html#tabContent2_stacks_in_580_page4 Off-white / very tiny touch of umber: Approx 6 litres purchased June 2018 Colour is "Christophe White” shown here under the ORIGINAL collection : http://www.francescaspaint.com/COLOUR/index.html Off-white: 1 litre purchased June 2018 Colour is “Linen” shown here under the SOLACE collection: http://www.francescaspaint.com/COLOUR/index.html Deep yellow-ochre: approx 1.5 litres purchased June 2018 Colour is “Turmeric” shown here under the HIMALAYA collection: http://www.francescaspaint.com/COLOUR/index.html Deep terracotta/rust-red: approx 1 litre purchased March 2018 Colour is “Pumproom Rust” shown here under the HOUGHTON HALL collection: http://www.francescaspaint.com/COLOUR/index.html Oil-based eggshell/satin finish for internal woodwork. 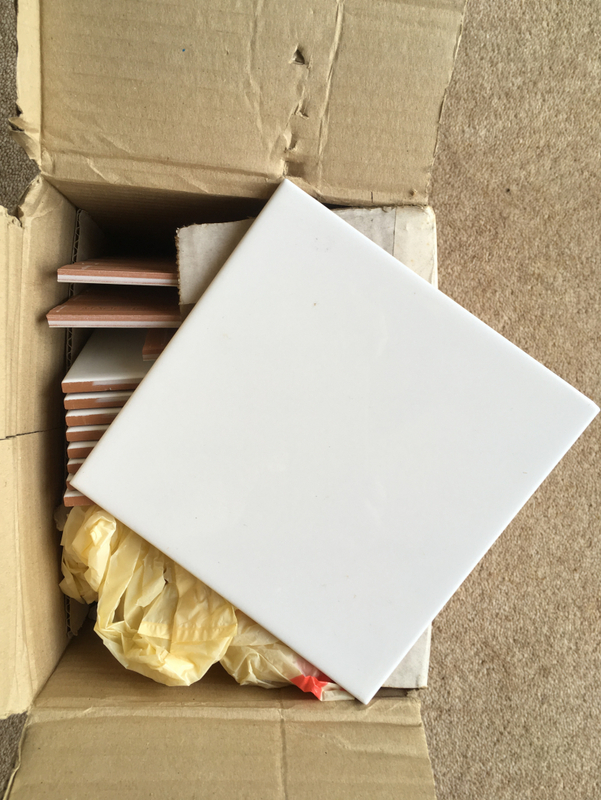 Paint type is described here: http://www.francescaspaint.com/PRODUCTS/index.html#tabContent5_stacks_in_580_page4 Off-white / very tiny touch of umber: Approx 3 litres purchased March and June 2018 Colour is "Christophe White” shown here under the ORIGINAL collection: http://www.francescaspaint.com/COLOUR/index.html Collection: Five minutes walk from Islington Green / five minutes walk from Angel underground station. Preference to those leaving contact details. Limewash paints, in various shades of off-white, for interior or exterior walls. All paint was purchased in mid-2018. Description of paint is here (under section entitled Corical Lime Paint): http://tellinglime.com/unilit-and-corical-lime-paints/ http://tellinglime.com/unilit-and-corical-lime-paints/ Offered: approx 3 litres of colour 2126 (off-white / tiny touch of yellow-cream) approx 2.5 litres of colour 2065 (off-white / very light, but tiny touch of olive green) 1 litre of colour 2064 (off-white / touch of olive green) 1 litre of colour 2125 (off-white / touch of yellow-cream) Colour chart is here: http://tellinglime.com/wp-content/uploads/2017/10/Corical-Colour-Chart-Arte.jpg http://tellinglime.com/wp-content/uploads/2017/10/Corical-Colour-Chart-Arte.jpg Paints can be mixed together. 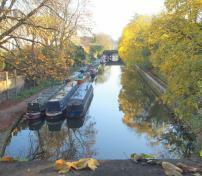 Collection: Five minutes walk from Islington Green / five minutes walk from Angel underground station. Preference to those leaving contact details. 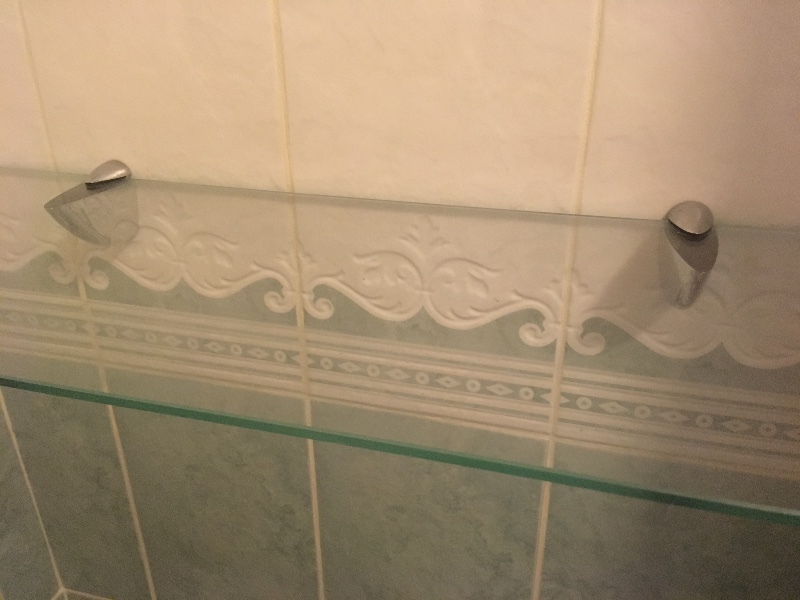 Bath-tub, integrated style, complete with base supports. White enamelled metal. Plain, attractive, timeless shape and style. 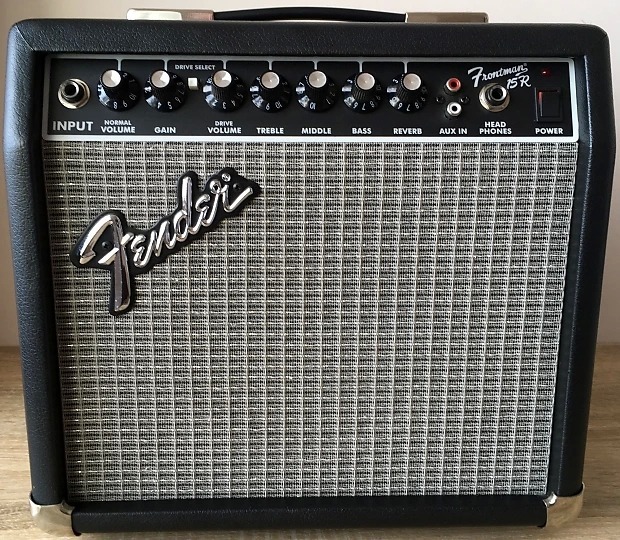 12 years old, good condition. 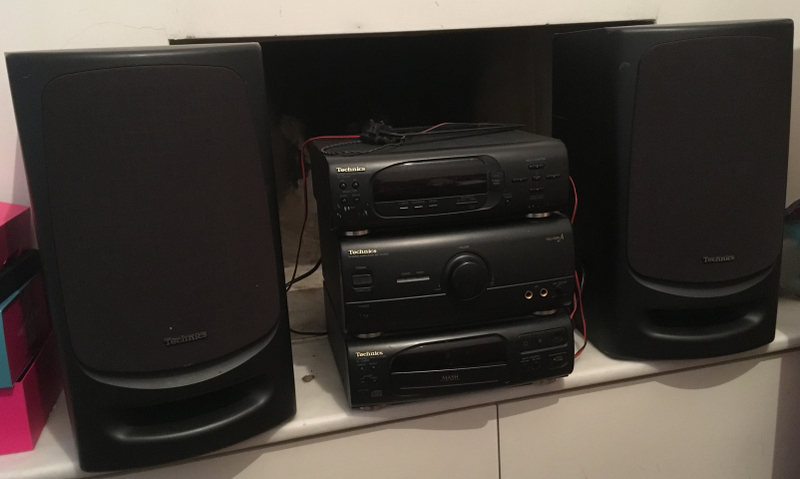 No longer has a surround. 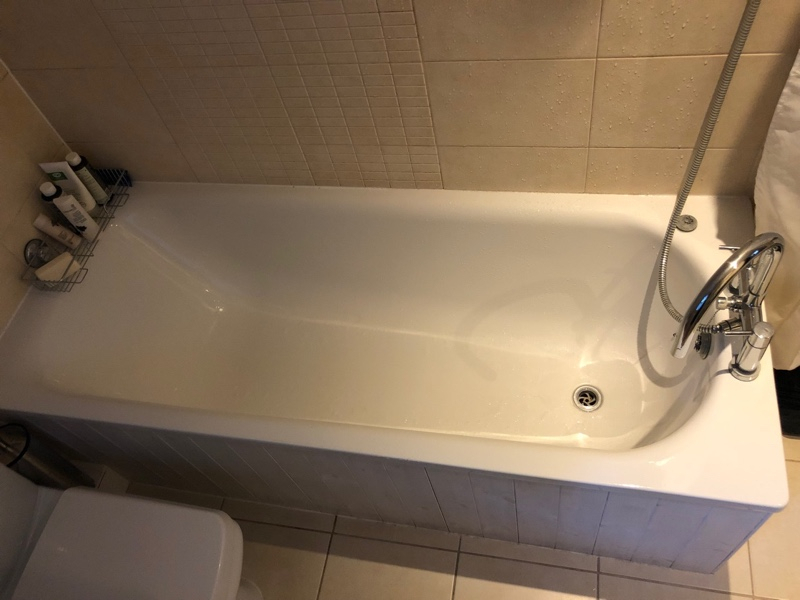 Attached photo is of the bath before it was removed from the bathroom. 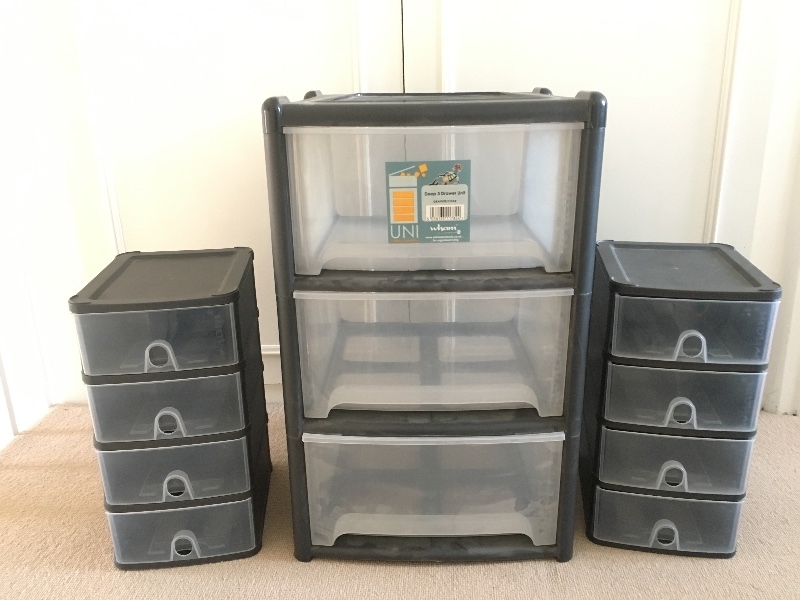 Available for collection or nearby drop-off (south/east Islington and south/west Hackney) on Saturday 13 or Sunday 14 October. Monington & Weston upright piano with upholstered, adjustable stool. Lovely tone. Will need to be removed by a professional piano mover. 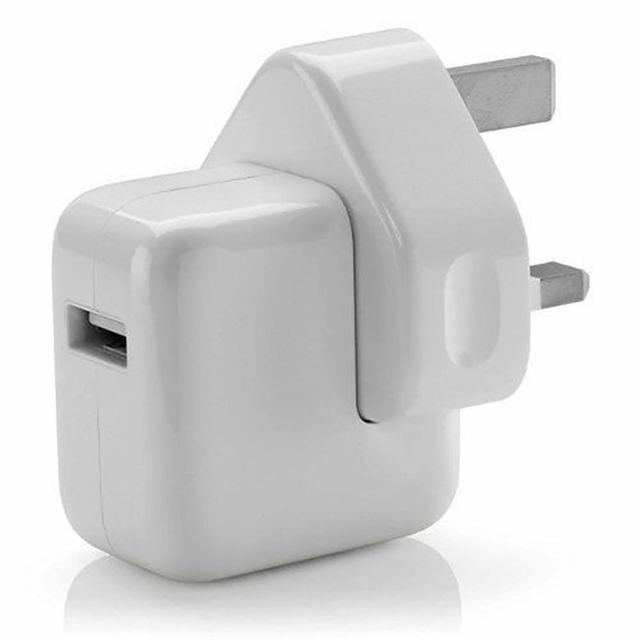 Apple USB Power Adapter 10w. For use with iPad2, iPad Air,iPad mini. UK plug. Collection from Angel area N1. 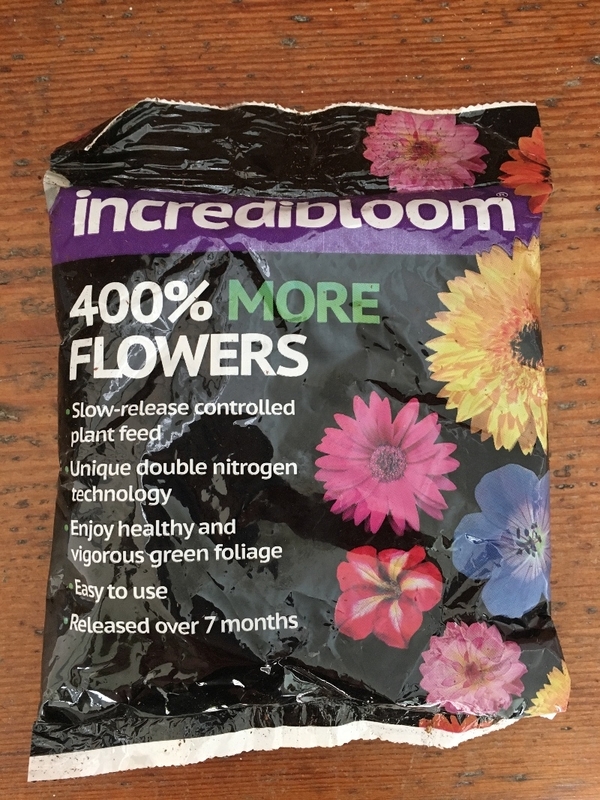 Incredibloom Plant Fertiliser 8x200gram packs. All unopened. Collection from Angel N1 area. 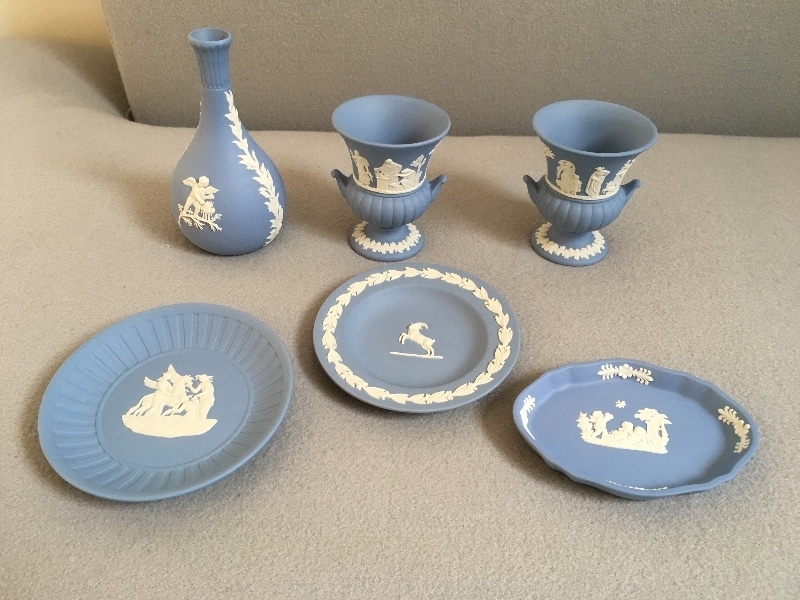 6 small pieces of blue Jasper Wedgwood. No cracks, breaks or restoration. Collection from N1 Angel area. Please only reply if you genuinely want the items and will collect. Thanks. 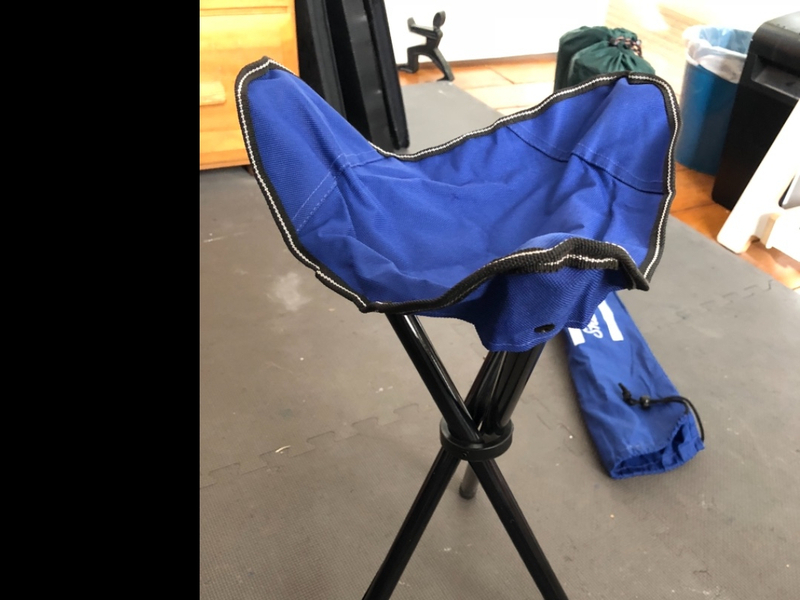 I'm looking for a small-ish office chair, preferably without arms, if anyone has one available? I can only collect near Clerkenwell/St Lukes as i don't have a car. Many thanks! We are looking for some pictures in good condition to decorate our shared flat. A4 size or larger. Can collect from Islington or Clerkenwell on Thursdays, Fridays, weekends, or evenings Monday to wednesday. Thank you! 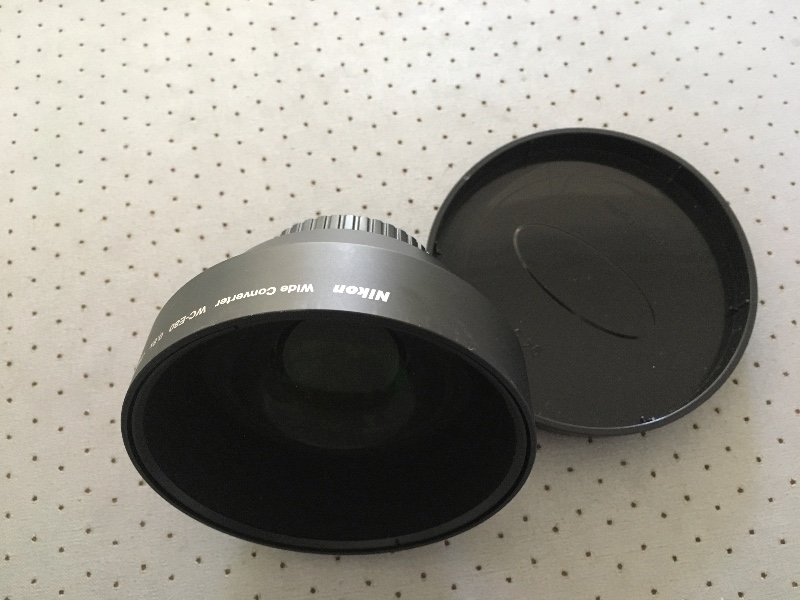 Nikon Wide Converter WC-E80 0.8x lens. 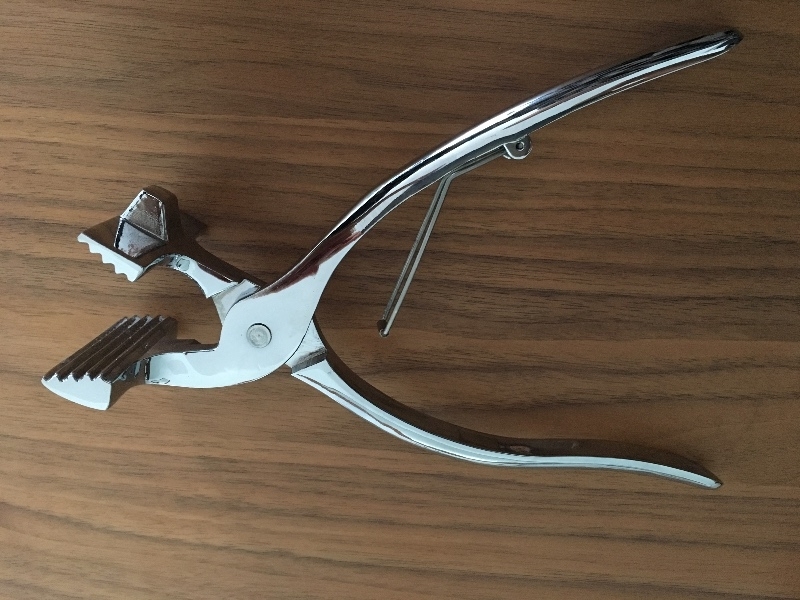 Has not been used for some time, but was in perfect working order last time used. As far as I can see no scratches or problems with lens. Comes with lens cover. Collection from N1 area.